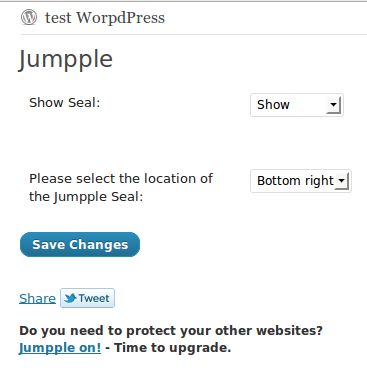 Jumpple WordPress plugin which calls itself “Your website keeper” is developed by Jumpple.com. Plugin offers you free and easy way to protect your online presence via real time notifications if something is wrong with your website. – Content – Check for missing keywords to protect your homepage from content errors and/or defacement. Excelent! And you can really use all these service for free? Yes. But for the only site. In order monitor more than 1 site you should pay some money – it is paid service with different tariff plans. But return to the Jumpple WordPress plugin. Author declares that “this plugin will notify you if something is wrong with your site”. 1st question I have when read this, how he will achieve this, as when site is down plugin will not work too? Let’s see, what this plugin does and what doesn’t and who actually will make the real work as declared in plugin description. Of course this badge image will have a link to Jumpple web site. Did you read word “secured”? Are you agree with it? I think that word “monitored” is more suitable in this case. As remote checking (if site is alive or not) is not secure or defense measure. That’s all. Stop, how it can be? Where you can change settings about how frequently to check your website, what notification method to use, etc.? You can, but at the jumpple.com directly. How do you feel after discovering this? Is this plugin valuable addition to your WordPress managed site? I read its code carefully – it doesn’t contain any other functionality except described above: send registration information to the jumpple.com and show jumpple badge image on your pages. That’s all. 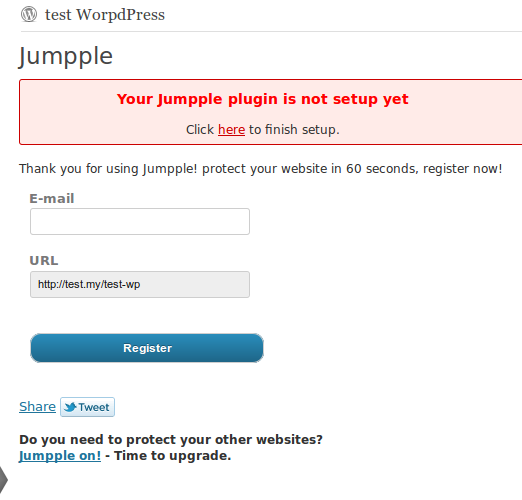 For what you download and install into your blog this plugin, by other words – jumpple.com service registration form? I think if you need to use jumpple service, then more easier way is to go directly to jumpple.com and register there. Are you agree with me? Conclusion: This plugin is developed as the mean to advertise and promote jumpple.com paid service concerning of monitoring if your site/sites is alive or not. There is no need to download and install it even if you need to use jumpple service. You can register there and subscribe to its service directly on site. If you installed this plugin, then after registration it works as the Jumpple badge image showing tool, nothing more. The decision is for you, will you use this plugin or not. If you are interested in my opinion – while jumpple.com service itself could be useful and important for many WordPress site owners, I consider this Jumpple WordPress plugin as an advertisement and promotional tool only, which has not any useful functionality. 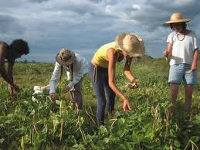 This entry was posted on Monday, August 29th, 2011 at 13:05	and is filed under WordPress. You can follow any responses to this entry through the RSS 2.0 feed. You can skip to the end and leave a response. Pinging is currently not allowed.